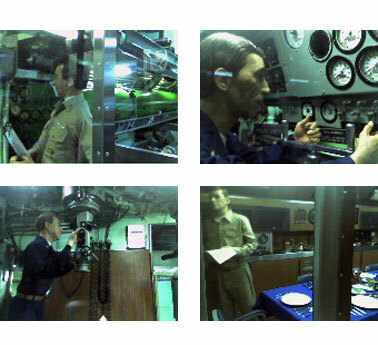 I dare you to not be interested in touring the first nuclear powered submarine to travel to the North Pole — complete with mannequins in bunks, operating machinery and plotting maps. A surprising delight, the US Navy Submarine Force Museum, in Groton, Connecticut, is the home of the USS Nautilus (SSN 571). It’s also got real periscopes you can operate, models of subs, bombs and knowledgeable veteran submarine docents who were able to answer all of my lingering childhood submarine questions: like the rumor that nuclear submarine artificial oxygen generators created oxygen that was “horribly smelly” (not true). Here’s the kicker: admission is free. Since moving to Providence in August, we’ve begun to explore the rich art resources in our new surroundings. 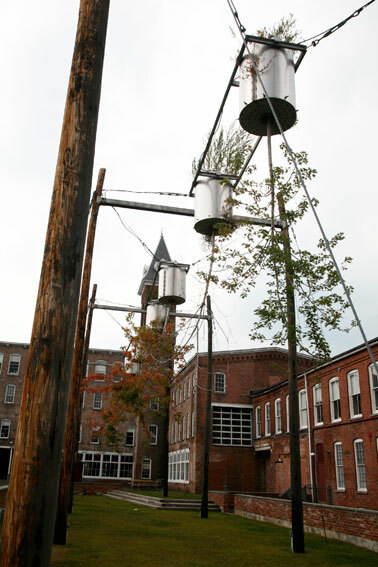 In the past two weeks, we’ve been to MASS MoCA to see the Spencer Finch show, to the ICA for Philip-Lorca diCorcia, to the MIT museum for the whimsical and Tim Hawkinson-esque Sculpture of Arthur Ganson, and to the South End Open Studios and most of the major galleries in Boston. In the next few posts, we’ll begin to unpack some of what we’re thinking about the art we’ve seen. We’re back from Greece and left Texas yesterday for a three-day drive to our new home in Providence, RI. First stop: Nashville, Tennessee. 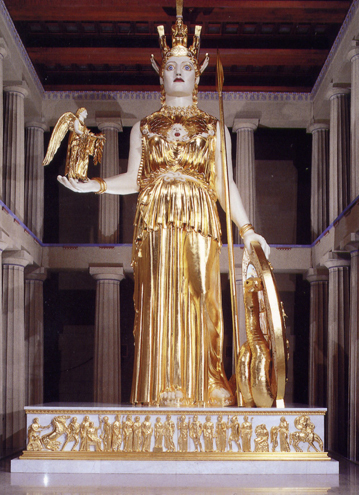 Where they have a full-scale replica of the Parthenon, including a reproduction of the missing 42-foot statue of Athena. 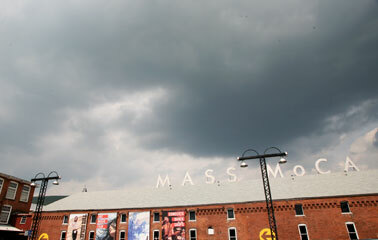 The building is also, apparently, the city’s art museum. We’re shooting for making it to Harrisburg, PA today, but we’re going to drive by the Parthenon and get some pictures. 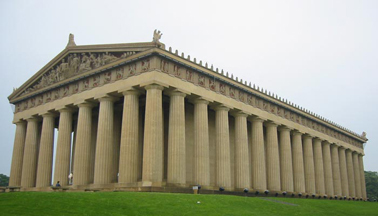 Since we just saw the one in Greece, see how America’s Parthenon compares.